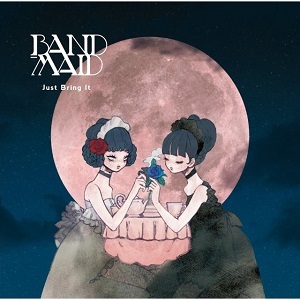 1st full-length album by BAND-MAID. The girls arranged 9 of the 13 songs on the album. Also 11 of them are written by BAND-MAID (mostly by Kobato Miku). The music videos of Don't You Tell ME, YOLO, and Secret My Lips from this album are available on their official YouTube account. Every songs from this album are worth to listen. Once you loved on of his album tracks, you'll loved the entire album, because this album has less diversity, at least in tempo and phrasing. Puzzle and OOPARTS are good song to begin. This album avaliable in two format, Regular Edition and Limited Edition. Limited Edition has special bonus "Full Color Photo Book"